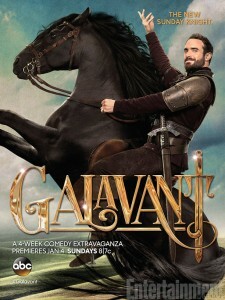 Galavant cranks the silly levels all the way up to eleven. Think The Princess Bride mixed with the musical bits from Monty Python and the Holy Grail. If in public, it is best watched with headphones on or with tipsy friends. 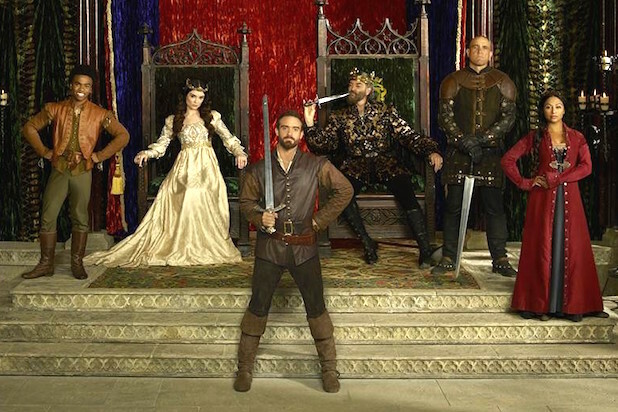 The eight episode series tells the tale of the titular hero (played by Joshua Sasse) who refinds his purpose after a rather embarrassing downfall. As he treks across the land with a Princess (Karen David) and a squire (Luke Youngblood) by his side, we also follow what is happening at the place our hero is headed to – the castle where the Evil King (Timothy Omundson) lives with his disgruntled wife (Mallory Jansen). There be a lot of singing – with self-aware comments about how annoying that is – and there be a lot of mugging to the camera. The series isn’t very consistent. There are a few very funny musical numbers and scenes that hit their mark, but the overall narrative is strangely paced, with some not very interesting padding in the middle. For every well-executed joke or song, there is also one that will leave you shrugging, like an extended bit about landlocked pirates and an episode about the squire’s family. You can see what they were going for, but the bits don’t entirely achieve lift-off. Absurd humour works best at a breakneck pace and the scenes tend to dwindle for too long. The Evil King’s sad attempts at making people like and respect him are where the series works best. He has a straightfaced henchman by his side (Vinnie Jones) who serves well as a foil and there is a sweet bromance at work between them. But you get the sense that the series would have worked better as a series of sketches than as a narrative. 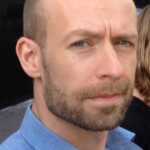 There is no sense of urgency or any real tension as there is no sense of danger. Death is only a thing that happens to undeveloped characters in the margin, as it would be too much of a downer otherwise. The cast is interesting and clearly invested, but the silliness of the world their characters inhabit makes it hard for the viewer to care much and the stakes don’t seem all that high. So what the viewer is left with for the eight 22 minute episodes that constitute the first – and quite possibly only – season are a few big, memorable laughs surrounded by a fair amount of ‘meh’. The amount of fun that the actors seem to have had is infectuous and the goodwill that this creates makes you want to forgive the parts that fall flat. 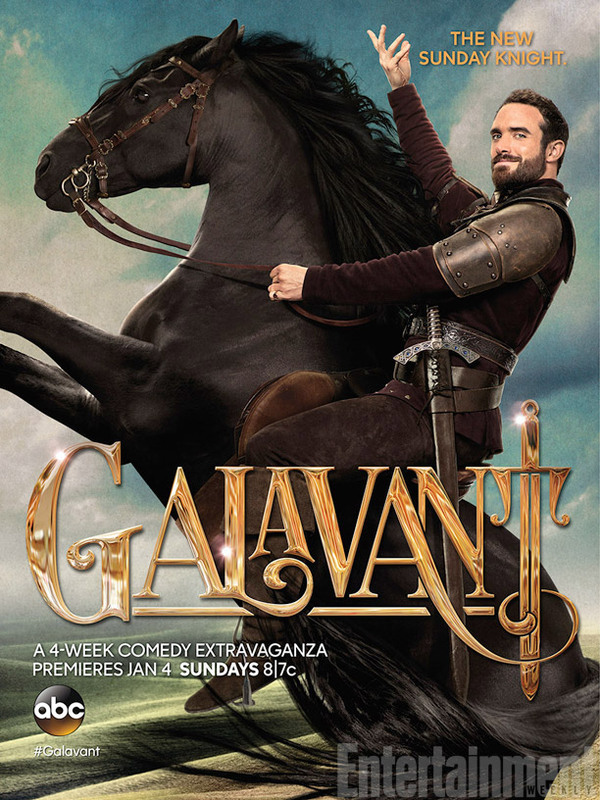 Despite the season ending on not one but multiple cliffhangers, it seems that Galavant will have a tough time creating tension or stretching its tale into another series of episodes. 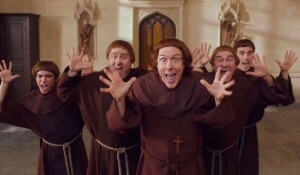 Its proud embracing of its own silliness is commendable, but it needs to get a firmer grip on its funnybone. 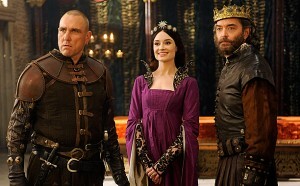 Rather than a series, Galavant probably should have been a tv-movie, as this would have given it more focus and would have allowed it to ditch the subpar padding.